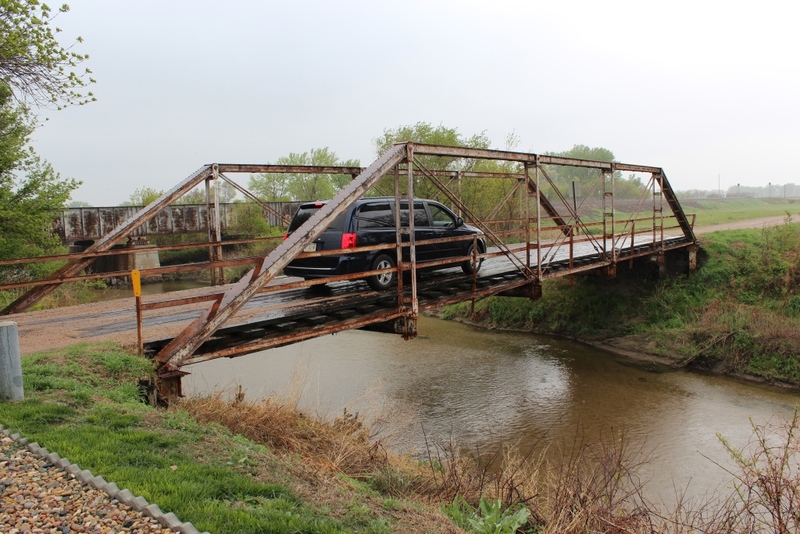 Actually, since the byway first took its baby steps back in the 90's as the 87 mile long "Platte River Scenic Byway" encompassing Lincoln and Dawson counties, we've had a mission. However, now it's written down. It's our marching orders. Unofficially, it is to be the transportation route of choice for travelers across Nebraska. 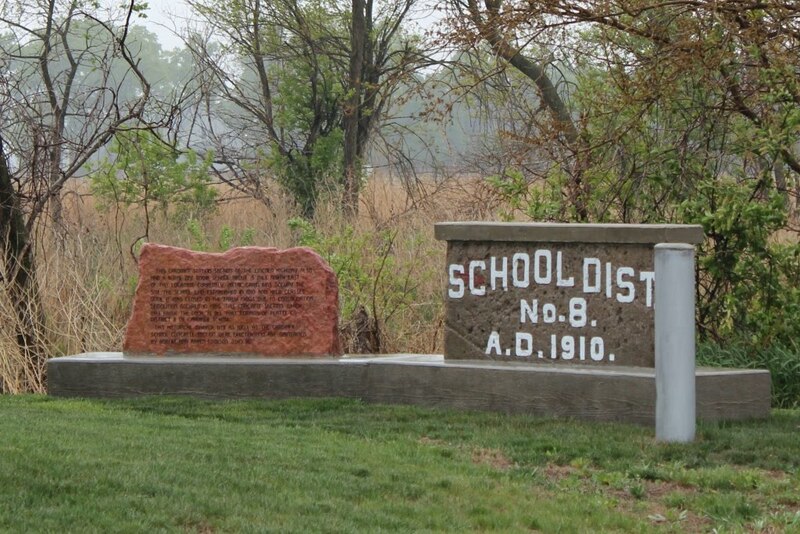 And it's to be the best... the best byway in Nebraska, and the best section of Lincoln Highway across America. How's that for setting the bar high? First, let me tell you about our meeting space in Columbus. It was on the third floor of the beautiful Evans House. Dr. Evens came to Columbus in the late 1800's on his way to a lucrative practice in Colorado. 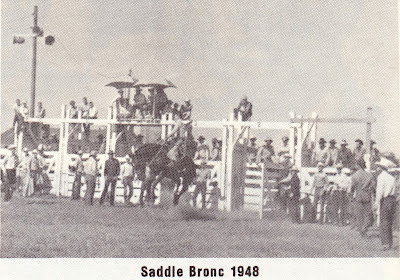 However, there was a smallpox epidemic and the town begged him to stay. After he imprisoned the priest who was spreading the disease by going from victim to victim, he nursed the town back to health, met the love of his life and settled down to stay. 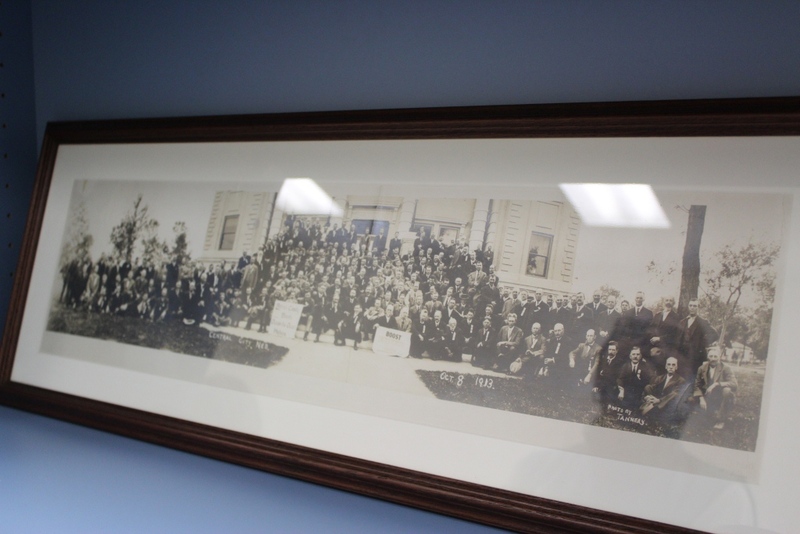 The house was placed on the national registry in 1991, and celebrated it's centennial anniversary in 2011. 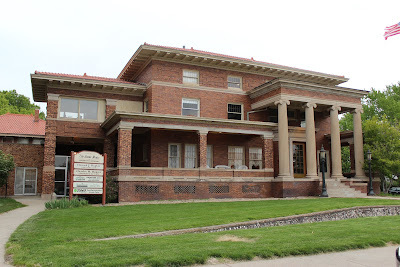 The current owners have done a wonderful job of restoration, keeping alive the legendary history of the house, and filling it with vibrant businesses. 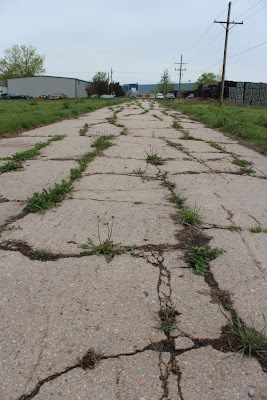 It made a very appropriate place to meet, as the original alignment of the Lincoln Highway in 1913 passed nearby. 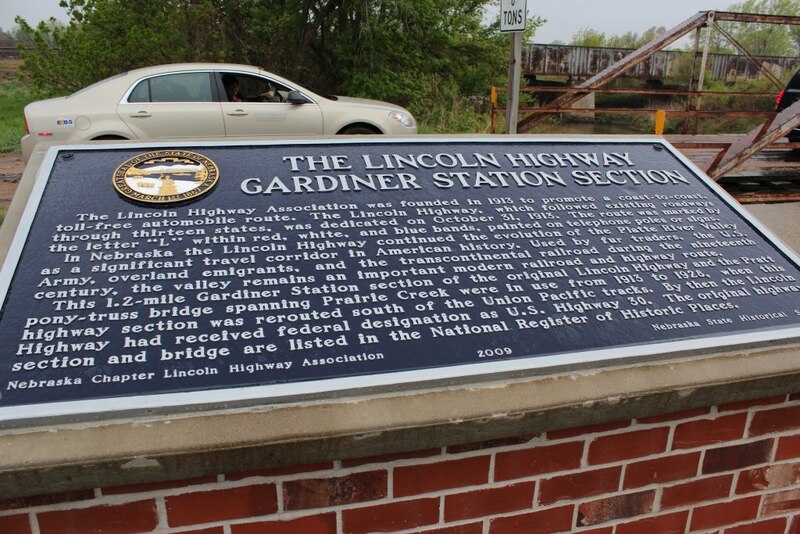 The mission of the Byway is to educate, promote and preserve the scenic and historic Lincoln Highway through Nebraska. The Lincoln Highway Nebraska Scenic and Historic Byway’s vision is to inspire travelers and communities along the corridor to find value in the byway. Short, sweet and simple, huh? But they are more powerful than they seem at first glance. 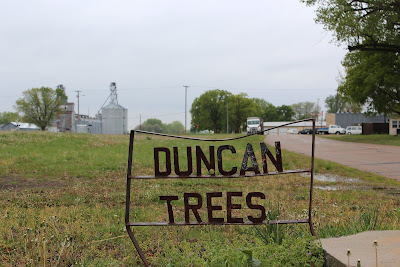 Let's take the little town of Duncan for example. Just west of Columbus, Duncan has a population of 351 and a history dating back to 1871 when the first townsite was laid out, though it wasn't incorporated as a village until 1913. 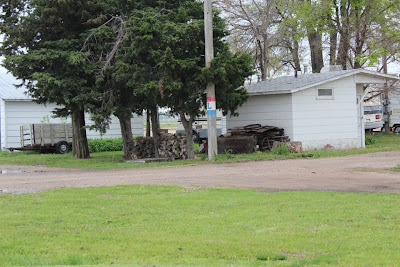 The Lincoln Highway, then a very narrow ribbon of dirt road passed between the two rows of trees that have been preserved in the above photo and in the one below. The town is understandably proud of it's heritage, and the association with the Lincoln Highway. 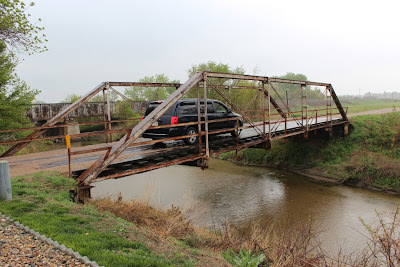 However, what if they and the visitors to their community saw real VALUE in the Byway, and the Byway was active in helping to inspire them and preserve the historic and scenic qualities of their community - and helped to educate on why the route, their town, their visitors AND preservation were important? Wouldn't things get better for everyone involved? 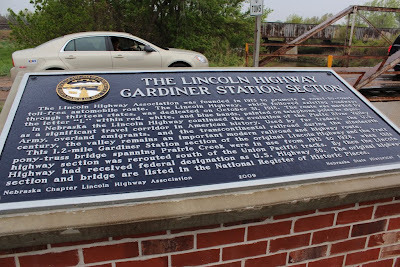 A little further down the road is the excellently interpreted historical site of the Gardiner Station and Bridge. 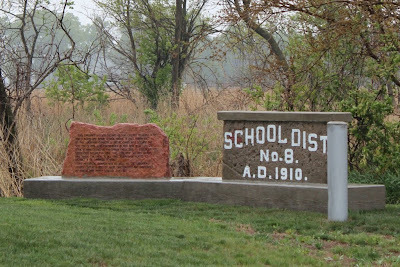 It obviously was the site of one of Nebraska's one-room schools and an important bridge along the Lincoln Highway. 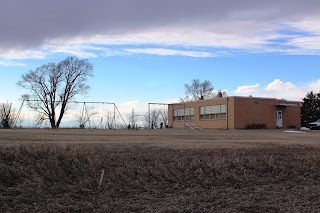 The Byway could help in encouraging the responsible parties to make the site even more appealing by adding gravel and adjusting the placement of some official signage that mars the "viewshed" for photography. We might also be able to help by traveling the Lincoln Highway route with a classic car collection (I'll go! I'll go!) 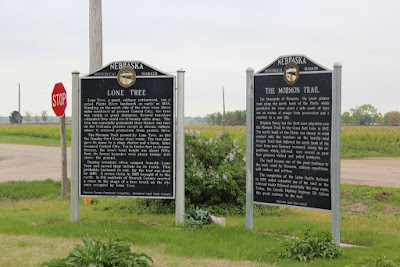 and creating a photo library of sites like this for use in promoting the route, the sites, the small towns along the way and the state of Nebraska. 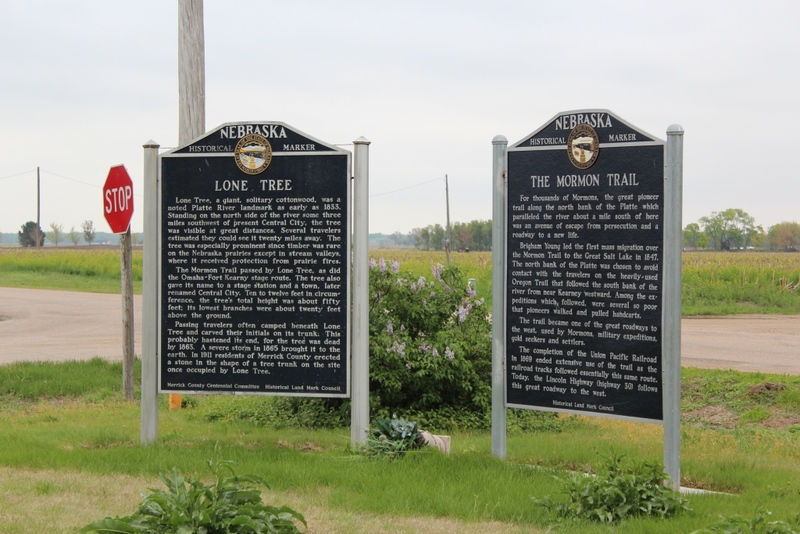 Interpreting the important historical sites along the trail is obviously of utmost importance, and the Nebraska State Historical Society has done a fantastic job. This site near Central City is a great example. 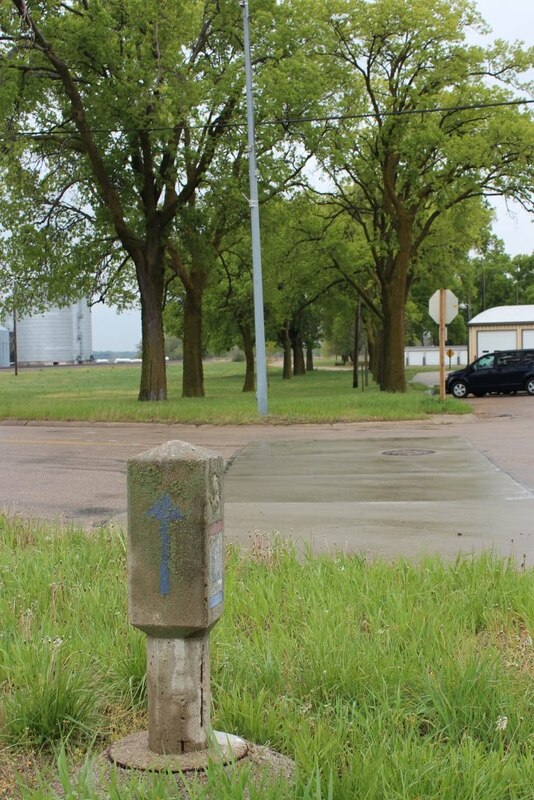 The markers are well placed and interesting, there is a great pull-out and picnic area to give weary travelers an opportunity to get off of the road... that is, if you weren't rear-ended because the signpost along the highway telling of the marker was RIGHT THERE - at the entrance, and unless you were driving 45mph in your Model T, you may have rolled your modern SUV trying to make the turn at 60. That is something the Byway organization can help with. Evaluating the placement of signage and what can be done to improve the experience of the visitor. 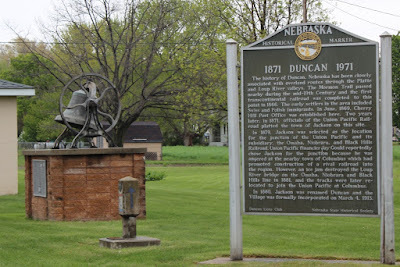 For the most part, the Lincoln Highway through the eastern and central regions of Nebraska (I'm sure the western region is fine too - we're just currently traveling the eastern & central regions) is in very good shape - the towns are quaint, a little dilapidated, but not too run down, the right-of-way well maintained and clean. 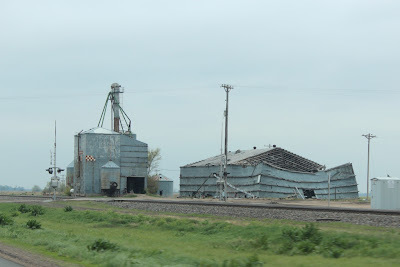 Every once in awhile, though, there is the evidence of the changing times shown by buildings that won't be with us too much longer. But you know what? That's OK too. Within reason, it helps to underscore the evolution of agriculture and the economy of Nebraska - the ups and downs that is inherent to rural living. 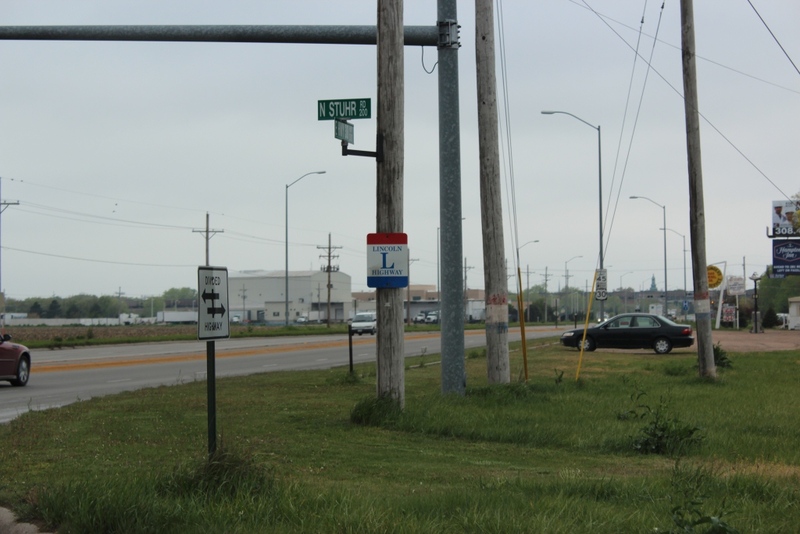 And now we get to the Seedling Mile - this again is the one in Grand Island. Without these seedling miles, the road probably wouldn't have been completed - they inspired investment and were vital in getting local support for a transcontinental highway - a model of how to generate excitement to get a project completed, I might add. The approach to the seedling mile is marked with the unique painted utility poles. 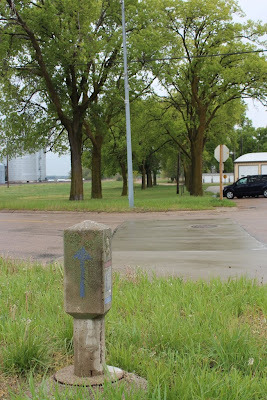 This way of marking the route was used nearly since the beginning and automatically evokes a sense of nostalgia - plus it gives the travelers the confidence that they're on the right track! 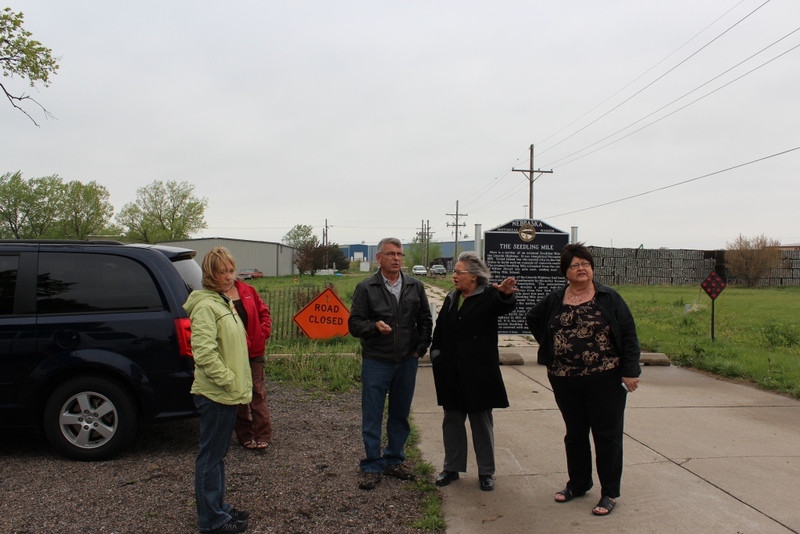 Our little tour group braved the cold and the wind to hear the story of the effort it took the Grand Island Historical Society and their partners to preserve the Seedling Mile and the future plans they have for the site. 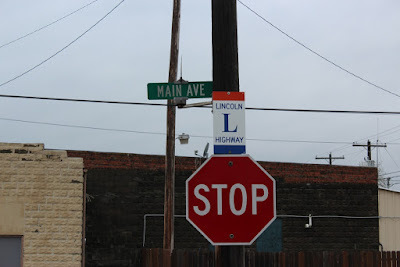 Below is a quick shot of the Lincoln Highway Signs along Route 30 letting you know you're on the Lincoln Highway at the entrance to the site of the Seedling Mile. 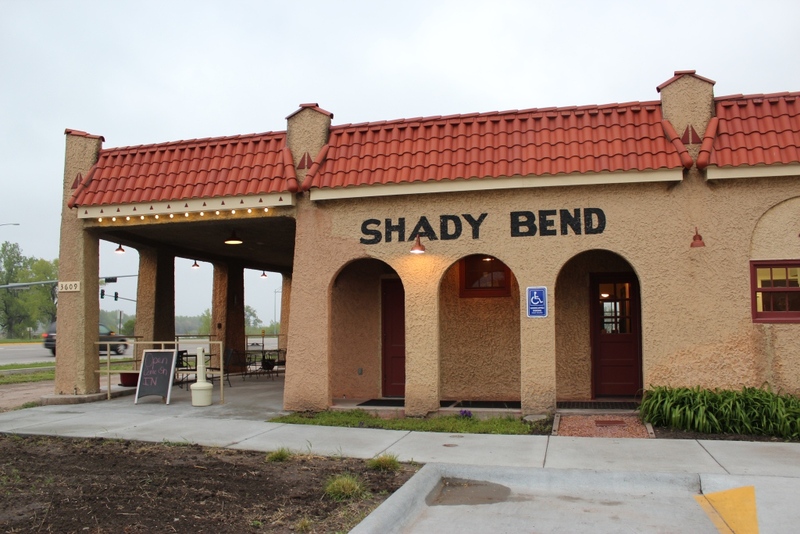 And now to one of the jewels of preservation along the Lincoln Highway - the Shady Bend in Grand Island. This iconic Lincoln Highway amenity has been loving restored by the SAME FAMILY (now on the 5th generation) that has owned it since the 1920's. Oh, the stories they can tell! 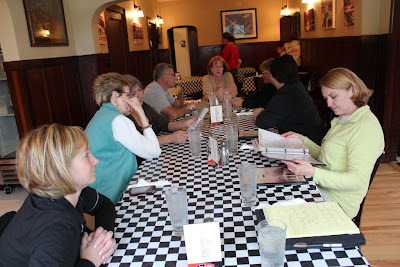 Plus they serve delicious Italian food and are wonderfully warm and welcoming. 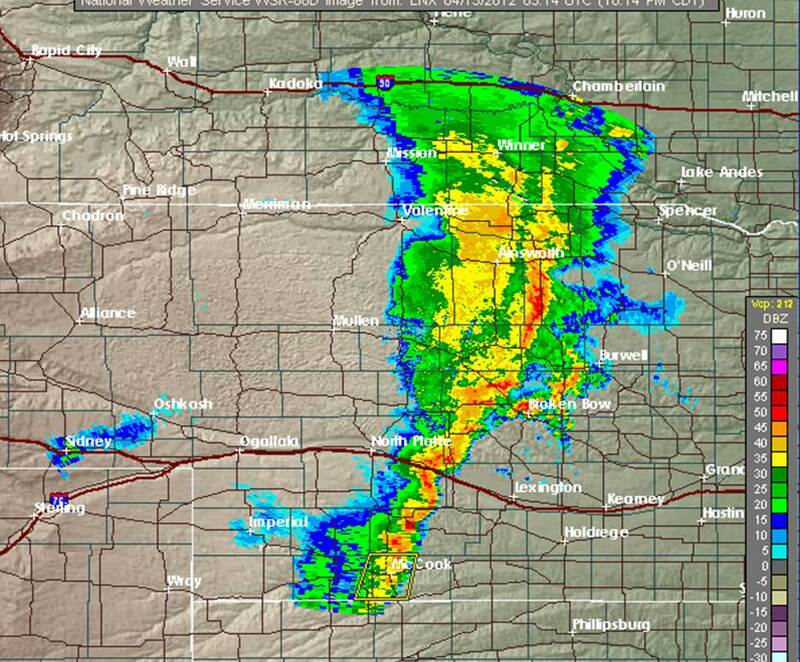 Make it a point to stop if you're traveling the highway. 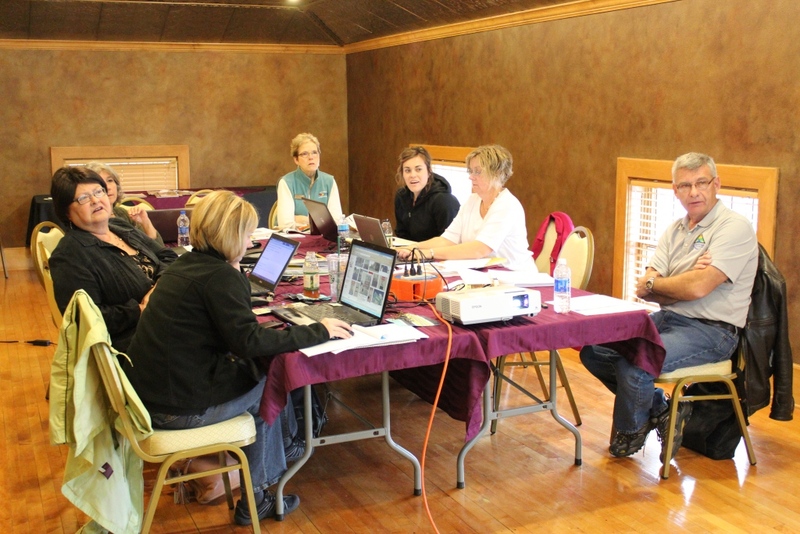 Which is another value the Byway can bring to businesses and communities along the highway - more customers! It's on to Shelton now, where local activists have restored an historic billboard that graces the side of one of their downtown buildings. 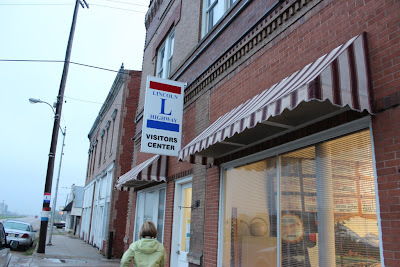 And to the official visitor center of the Nebraska Lincoln Highway Association (not to be confused with the Byway...). 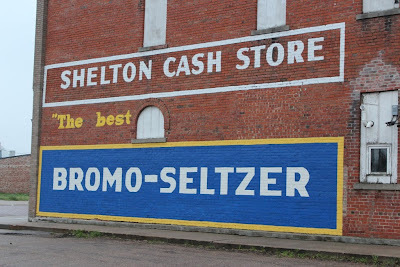 Lovingly run by the Shelton Historical Society, the visitor center offers a wealth of artifacts and information. 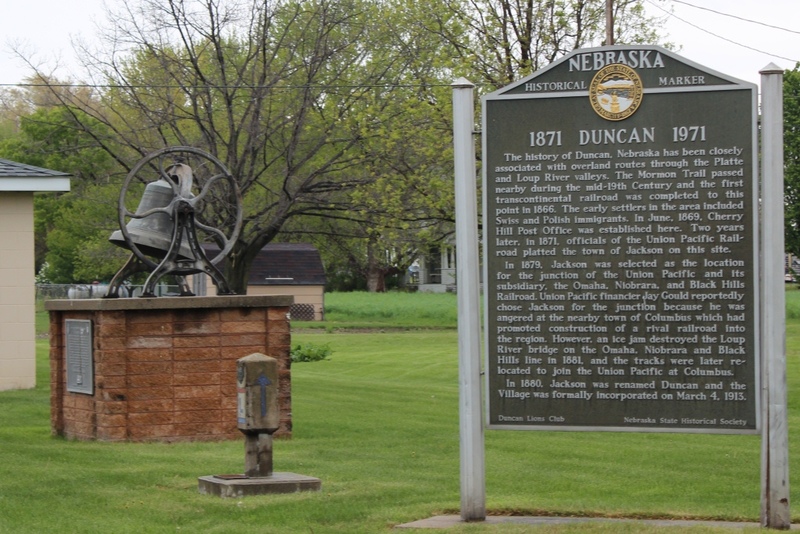 Like this photograph taken at Central City, Nebraska on October 8, 1913 - where the official proclamation creating the Lincoln Highway and declaring the route was signed. 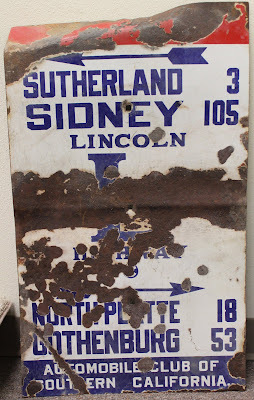 And a collection of historic signs like this one that was placed by the Automobile Club of Southern California in 1915, marking the route from coast to coast. 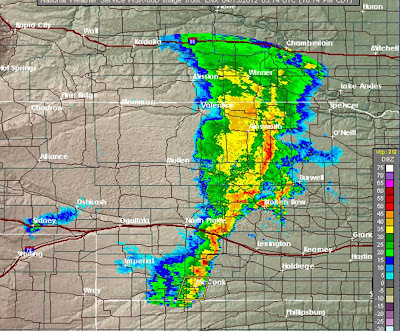 By this time it's nearing the end of a long day, and a storm front is moving through. We managed to reach our hotel in Gothenburg (the excellent Comfort Inn) before any real weather hit. A short night and we'll be at it again in the morning! Thanks for stopping by. The coffee's always on. May be laced with Red Bull or Five Hour Energy this morning.